Here at Brooklyn Bottle Delivery, we understand the challenges of running a small business in NYC. Space is always limited and many of us work a 9-5 in addition to trying to grow an empire at night. Two years ago while starting our own small business, we spent hours searching websites trying to find the best deals on packaging only to get to the checkout screen and find that the shipping costs outweighed our entire purchase. 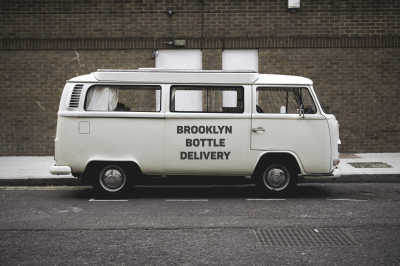 We couldn't find a solution a perfect solution for our small business.This is where Brooklyn Bottle Delivery steps in. We deliver from our warehouse to your home or business between 4:00 PM - 8:00 PM Tuesday and Thursday so we can catch you at work at the end of the day or meet us when you get home. Please get in touch with us for your container and bottle needs today! Together we will grow your small business!